Happy weekend everyone. Today is supposed to another beautiful day here with rain and cooler temps coming in Sun and Mon. Sam and I are planning a day of shopping then it home to do some work in my craft room. 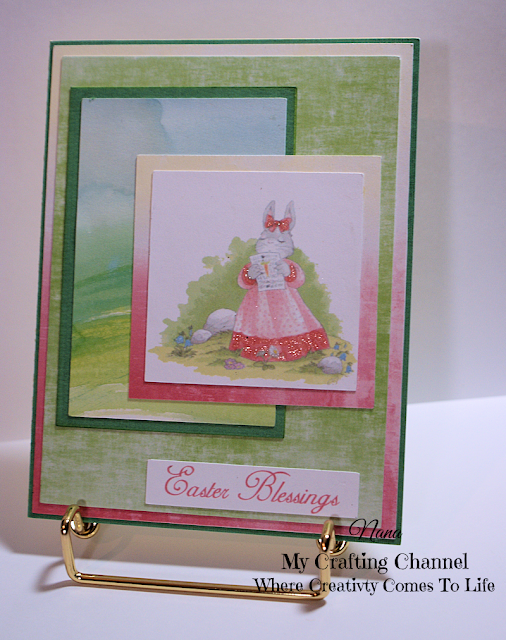 This morning I''m here to share this pastel Easter Card. I really love the pastel digital papers I used and the Bunny image is precious. This is sketch #3 form Mary's Kit & Kaboodle which you can find HERE. I absolutely love the pastel colors!! A darling image. Adorable card my friend!! 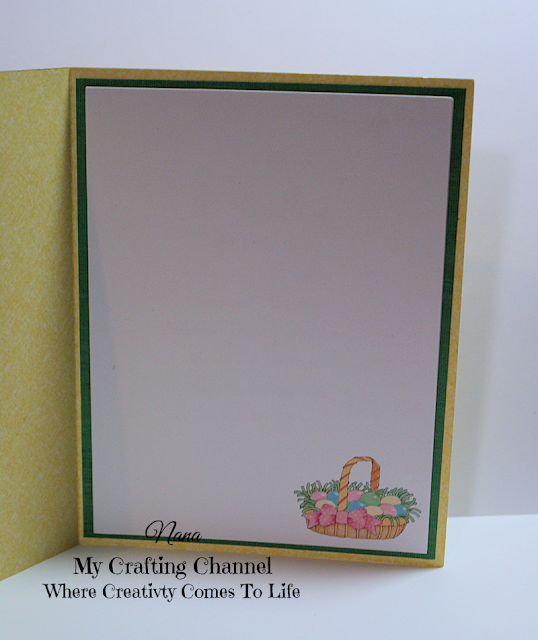 What a beautiful card, Nana!! Love the soft colors and the adorable image!!! Have a great day. Aaaw, this is so sweet! The pastel colors look amazing and I adore the image! What a lovely card. The image is so soft and sweet. The muted colors remind me a vintage print - just beautiful! Your card is just beautiful! I love the image and layering! love that added sparkles to her dress!